This year the TRU is welcoming Astrid Schrader as a Postdoctoral Research Association. Astrid’s position is associated with the Institute for Science and Technology Studies and the Department of Anthropology at York University. Astrid will be co-convening the 5th Annual Technoscience Salon on the theme of Ecologies. She will also be working closely with the Salon’s reading collective and with graduate students in York’s METALab. Astrid received her PhD in History of Consciousness and Feminist Studies from the University of California, Santa Cruz in 2008, upon completing her dissertation “Dino & Demons: The Politics of Temporality and Responsibility in Science”. Since then, Astrid spent a year as Postdoctoral Fellow at the Pembroke Center for Teaching and Research on Women at Brown University and has been teaching in the Science, Technology, and Society Program at Sarah Lawrence College for the last three years. She has been teaching courses in Science Studies, Gender & Science, Environmental Studies and Animal Studies. Prior to her graduate and postgraduate work in the humanities and social sciences, she was trained in physics and gained research experiences in both theoretical physics and experimental biophysics. Astrid’s recent research has focused on the scientific investigation of toxic marine microorganisms and the environmental problems these ‘harmful algae’ are said to cause. With the help of toxic dinoflagellates, feminist philosopher Karen Barad’s theoretical framework of agential realism and the philosophy of Jacques Derrida, Astrid has been exploring questions of responsibility and agency in scientific knowledge production, new ontologies, the relationship between anthropocentrism and conceptions of time, and environmental justice. Her research has been published in the journals of Social Studies of Science, Environmental Philosophy, and Subjectivity. In addition, Astrid has just completed co-editing (with Sophia Roosth) a special issue of the journal differences titled “Feminist Theory out of Science” (to appear in this Fall) that seeks to highlight how close attention to the materialities of scientific practices may inform feminist theories. Astrid’s current research focuses on the articulation and scientific determination of environmental crises and the politics of species differentiation in marine microbiology in relationship to conception of time. While at the TRU and York, Astrid will be working on a new chapter for her monograph, provisionally titled “Species Politics: Animality, Technicity, and Temporality in Environmental Crisis”. 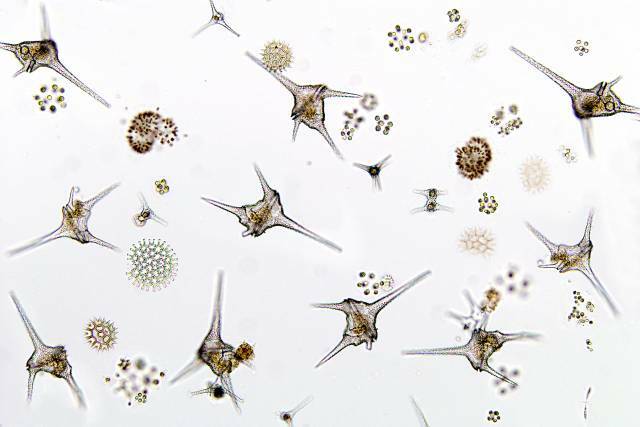 The project will engage recent scientific research into programmed cell death (PCD) in unicellular marine microorganisms, which poses new questions about biological individuation, units of selection in evolution, altruism and ‘natural’ teleologies.